I’ve been in Portland the last few days, living in the bungalow next to Tin House. Yesterday I completed the signing and numbering of all the limited edition (150) screenprints, which will be available for sale at my presentation 7:30 tonight (Aug 1) at Ampersand Gallery & Books (2916 NE Alberta Street, Suite B). I anticipate an announcement about the posters very soon, so keep checking the Tin House site. This entry was posted in Whitman Illuminated on August 1, 2014 by Allen Crawford. 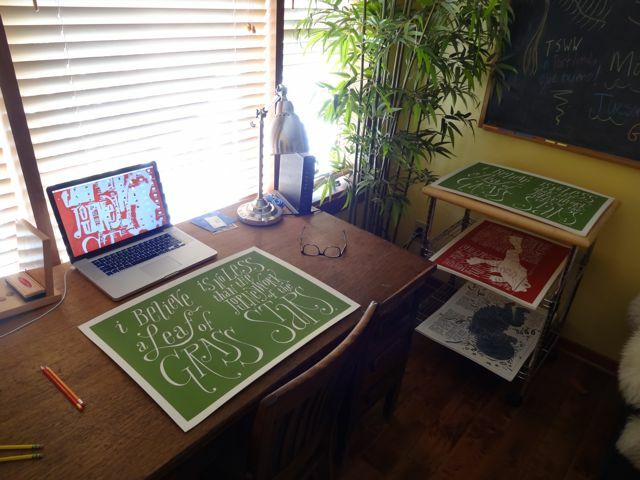 I’ll also be signing and numbering the screenprinted posters (see image above) that Tin House has made from my artwork. They’ll be available for sale via Tin House after next week. 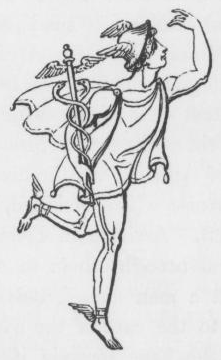 There may be a few other events in the offing, so stay tuned. Hope to meet some of you next week! 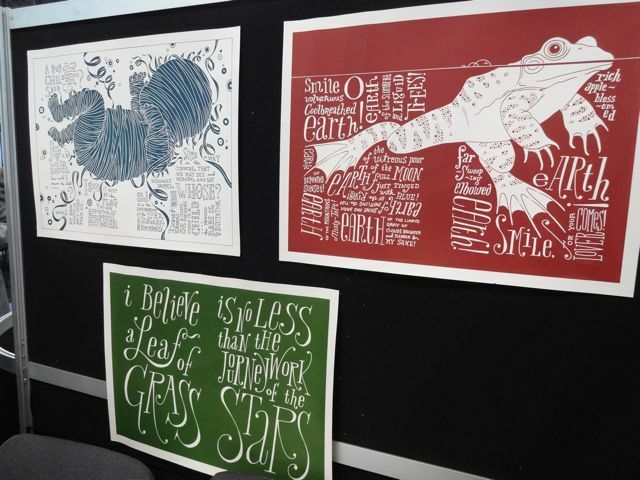 This entry was posted in Whitman Illuminated on July 24, 2014 by Allen Crawford. 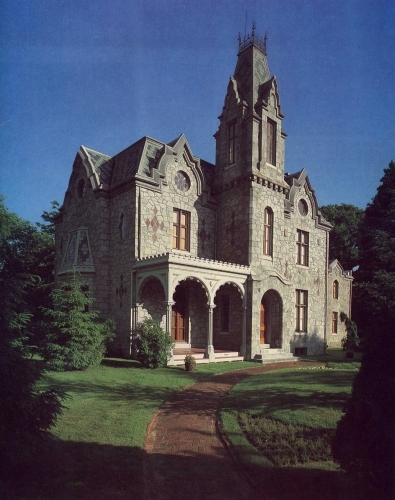 Just a remainder that I’ll be talking at the Ebenezer Maxwell Mansion in Germantown this Thursday. Check the link for reservations and tickets. This entry was posted in Whitman Illuminated on July 15, 2014 by Allen Crawford. I’m coming to Portland! I’ll be at Ampersand Gallery & Fine Books on August 1st. More Portland event announcements to come. This entry was posted in Whitman Illuminated on June 30, 2014 by Allen Crawford. Here’s the arts program that aired the piece on me tonight on NJ public TV. Zip to 3:32 to see the interview. I’m taking a short hiatus from book-related events to recharge and tend to some commercial projects (we need to keep the lights on around here). Some new events are listed on the Events page, and more are coming. Stay tuned. This entry was posted in Whitman Illuminated on June 17, 2014 by Allen Crawford. 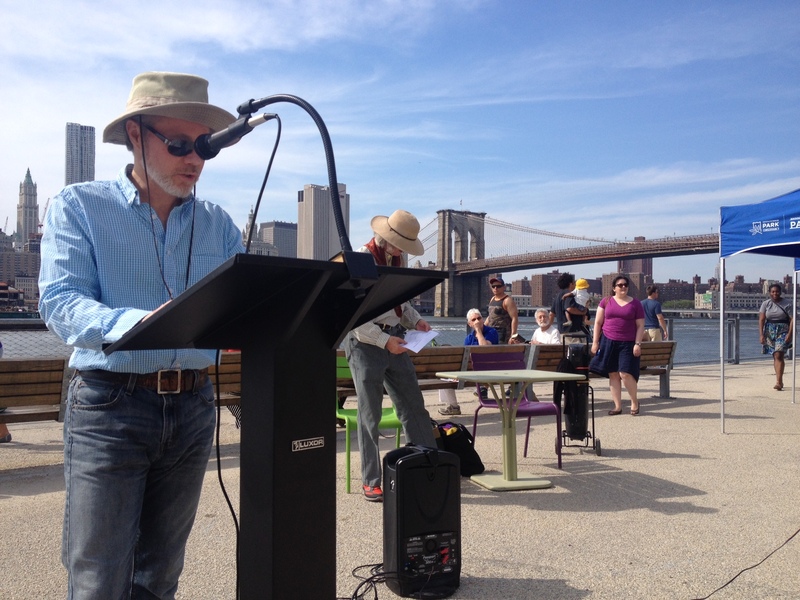 My whirlwind tour of independent bookshops in Brooklyn yesterday ended at Brooklyn Bridge Park, where NYU professor Karen Karbiener has been hosting an annual marathon reading of “Song of Myself” for the past eleven years. I want to thank her for so graciously including me: I was honored. Some truly wonderful readings took place yesterday. As people read, I could see the corresponding image from my book, which was a curious experience. Here’s a list of Brooklyn independent booksellers who have signed copies of Whitman Illuminated for sale: Spoonbill and Sugartown, Greenlight, and Bookcourt. My thanks to Katie and Jenn at Word, Susan at Spoonbill, Jarrod and Sam at Greenlight, and Sarah and Lauren at Bookcourt. This entry was posted in Whitman Illuminated on June 9, 2014 by Allen Crawford. 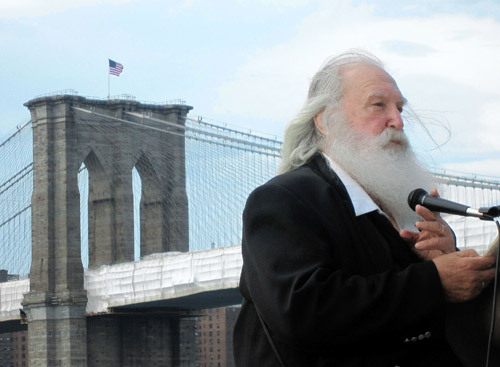 Brooklyn types: Between 4-6pm tomorrow (Sunday), I will be participating in the marathon reading of “Song of Myself” at Brooklyn Bridge Park (Pier 1, at the Granite Overlook). If you bring copies of my book, I’ll gladly sign them! 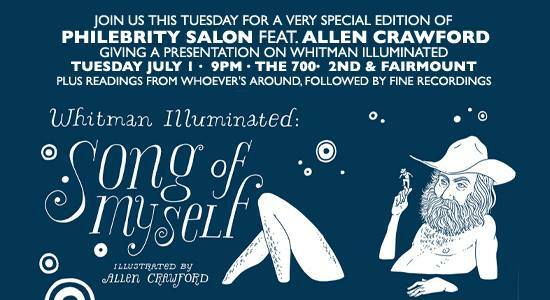 This entry was posted in Whitman Illuminated on June 7, 2014 by Allen Crawford. 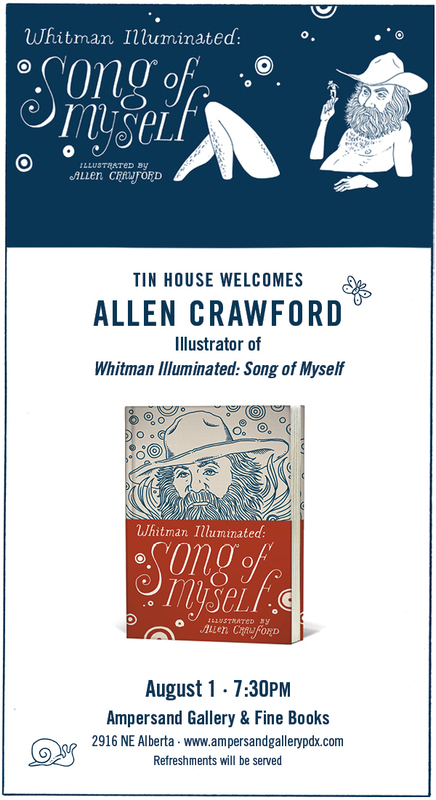 My feet have blisters this evening: today, I ran all over Manhattan, dropping by as many independent booksellers as I could and signing their copies of Whitman Illuminated: Song of Myself. I wasn’t sure what kind of reception I would get (people are busy, after all), but I can’t thank Blake, Emily, Landon, Rachel, Davi, and everyone else enough for being so generous, welcoming, and helpful. Here are the independent booksellers in Manhattan who now have signed copies of my book for sale: Strand Book Store, McNally Jackson, Bluestockings, The Corner Bookstore, and Crawford Doyle Booksellers. After I’ve completed this mighty feat, I will be racing over to Brooklyn Bridge Park to participate in this year’s Song of Myself Marathon Reading. Hope to see you there–and support your independent bookstores!